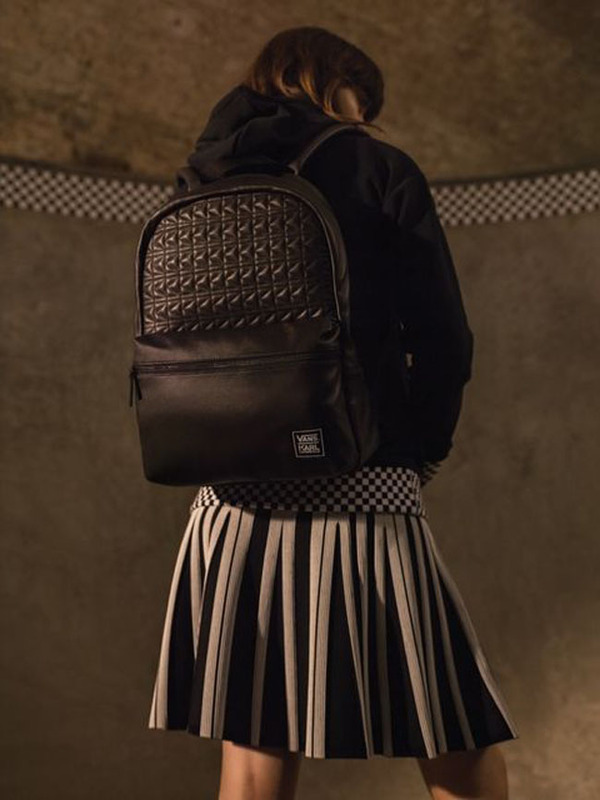 Girl is NOT a 4 Letter Word: Karl Lagerfeld X Vans Collection - Will You Be Wearing It? Karl Lagerfeld X Vans Collection - Will You Be Wearing It? 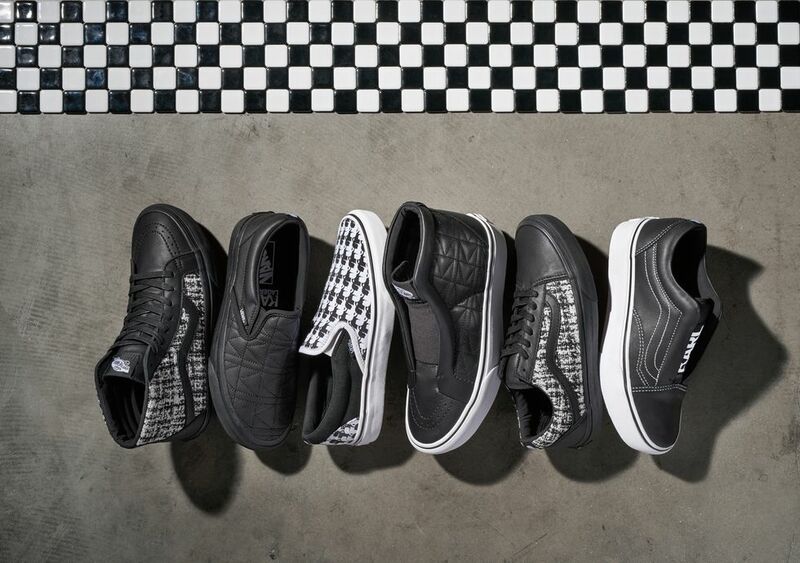 The new Vans x Karl Lagerfeld collection is on it's way and here is a sneak peek of what's coming. The 12 piece collection consists of tee shirts, a hoodie, a leather backpack, a bomber, a cap and 6 pieces of footwear - all in black and white. Some pieces have the iconic black & white checkerboard pattern as well. One of the tee's features Karl lagerfeld front and center cementing the tie in between skate brand and well known fahion house. 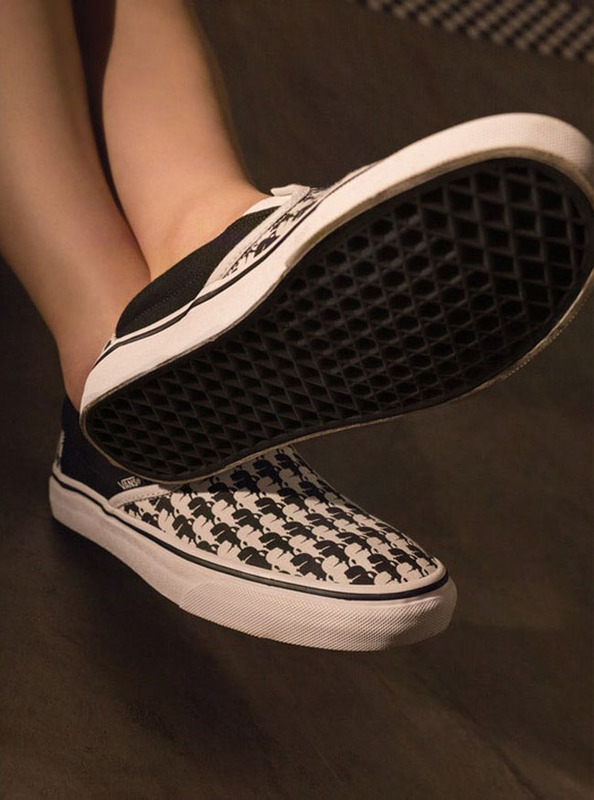 Before you dismiss this as just another fashion x skate collab, take a look at the way Vans maintained their authenticity throughout the collection, tying in classic pieces and intertwining new prints with looks that are reminiscent of styles from the 70's. We think we could possibly see pro skaters like Lizzie Armanto and Poppy Starr Olsen rocking a few of these pieces and making the look their very own. Maybe as soon as the Vans Pro Park Series in China?